The band drove up with their trailer from Tulsa to my house at 7701 Mission Road specifically to do this, and we cut the the two sides in a day. The band would play live with Jim singing live in the room. 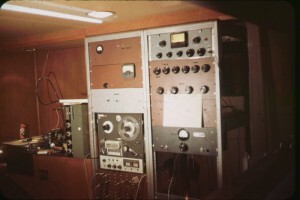 I tracked with my home-made mic preamps and mixers designed by the legendary Ernie Sarazan. I set up a PA system for the vocals so nobody had to use headphones. 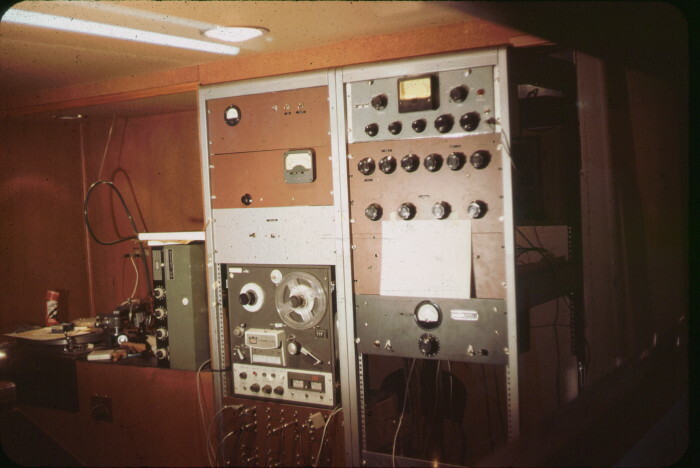 First pass got recorded on the 1/4 track stereo machine, then I would mix in the tracks from the 1/4 track with another pass for background vocals and lay that mix onto the Presto 15 ips mono machine. It was very hard to mix anything loud in the room because the band would swamp my monitors, so the mix couldn’t be determined until everyone stopped and we could do a playback. We got a track that everyone could agree on, then the band went back to Oklahoma. I booked a mastering session with Vic Damon (who else could prep a master lacquer in KC?) and he did his best to ruin with his magic hypercompression designed to save his cutter head from unneeded peaks. Then I sent the masters off to Acropolis. Later I visited Gary Sallee at home and was dismayed to learn he ran his office out of a funky house trailer. Not exactly a big company. Anyway, the band had some money and paid him for the pressings ( and presumedly some promotion ) and later I drove down to Tulsa and was with the band when the pressings arrived, just in time for the ‘Big Gig’ which is probably that portrayed in the photo links below. Somewhere in this timeline, I remember hearing the record on the local radio station, and then the bummer of finding out that several boxes of the 45s being lost on the freeway due to someone putting the boxes on top of the car, and driving away. Both sides recorded at the historic AUDIO LAB in Prairie Village Kansas. Hey I love these guys! It would be great hearing more of them. I would love to talk with you about it so hit me up sometime soon! Know these guys from local settings. As all can tell, great energy, creativity, vocal and instrumental talent. Probably would have been also loved at The Cavern, or The Troubadour. Amazing band, amazing 45 AND AMAZING pictures! What was the rumor I always heard about them being called The Great Danes and only changing their name for the 45? 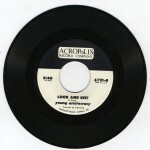 Is there any chance to get a copy of the original 45?? Good price will be paid!! 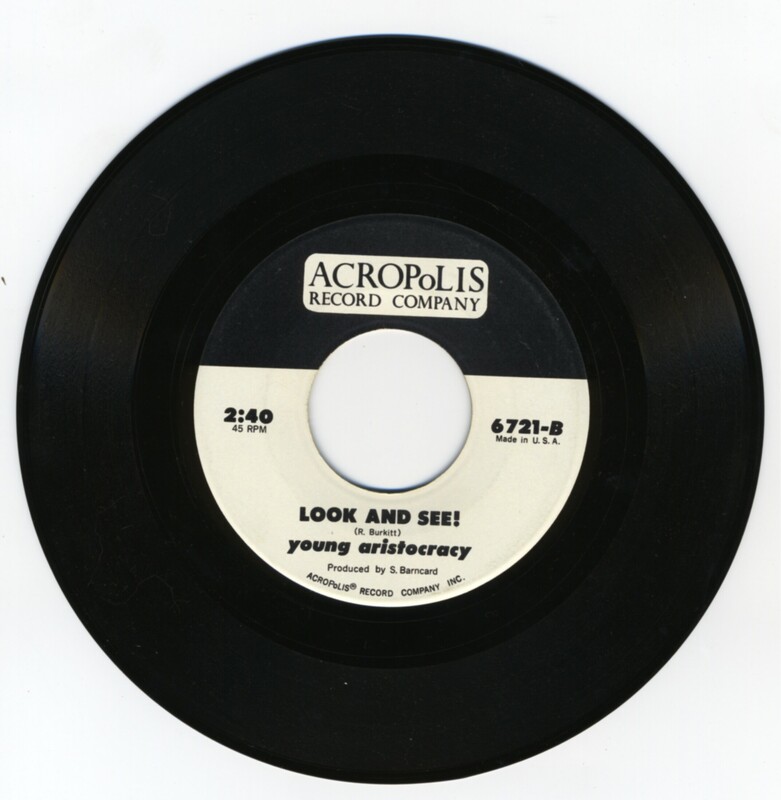 Sorry, I only have one copy, and it’s going on my wall – my first single. Curious as to how much you would pay, and are there others that you know that would? Hi Steve! I remember you – the tallest guy. How ya doing? Still in Tulsa? Could you please mention the names of the other guys? Two guys are brothers, right? Hope you enjoy all the slides – you are the first band member that has responded. I’m not sure Jim has seen these photos. I wish I had this many photos of bands…. Hey Steve. How many years? I remember your basement and the “one more try”. The band is fantastic and I’d love to have a 45 (or at least a digital copy). 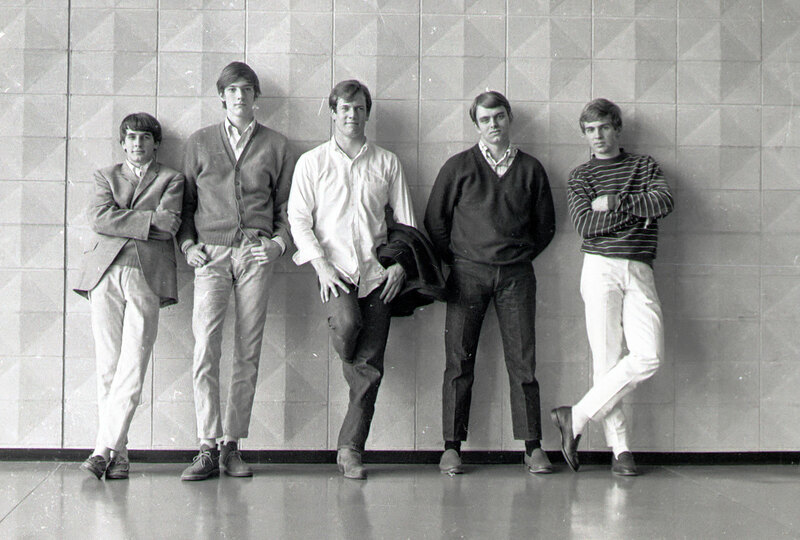 The young man in the middle of the photo at the top is my father, Roger. Note that I just now added a download link below the player.